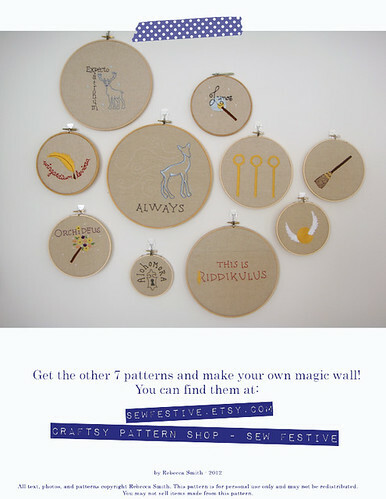 Quilty Habit: Harry Potter Embroidery Patterns for sale from Sew Festive Handmade! If your fiance is also a HP fan that could be a totally cute thing to stitch and then frame it with a picture of the two of you! SO CUTE. This was so timely! 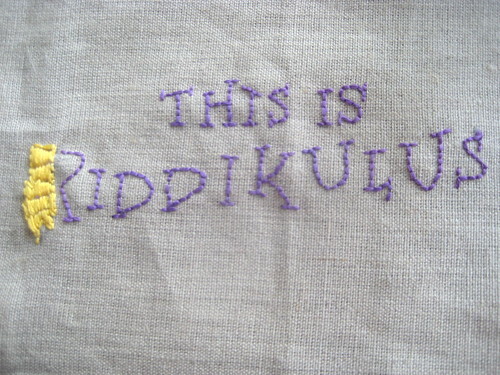 I asked on my blog for any beginning embroidery advice so that I could stitch labels for very special quilts, and two days later, you posted this! Thanks !